5-in-1 Multiple Function:BT 4.0 allows the stable connection and compatibility with all BT-enabled devices. 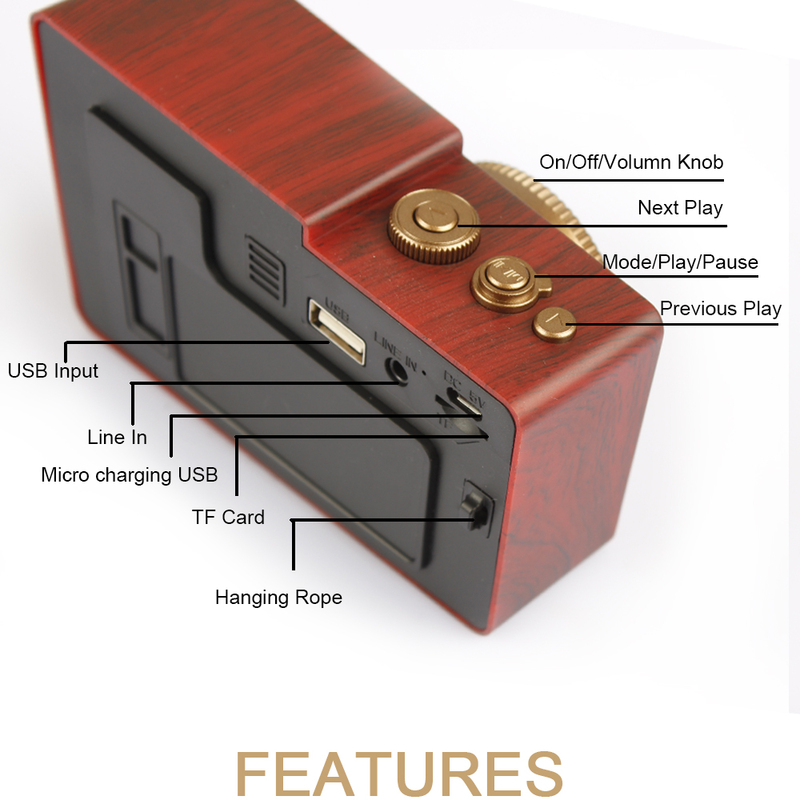 FM radio brings you into old time, and Line in/ USB/ TF input support you unlimited lstening anytime and anywhere. Hands-free Call:only takes a few seconds to connect to your phone to this Vintage BT speaker, easily call by the wireless speaker clearly. Portable and Long Playtime:With small size and lightweight, the BT speaker can be carried around in your hand, hooked to your bag, or even your bike. Up to 6 hours playtime in 75% volume then you can take the retro BT speaker anywhere. 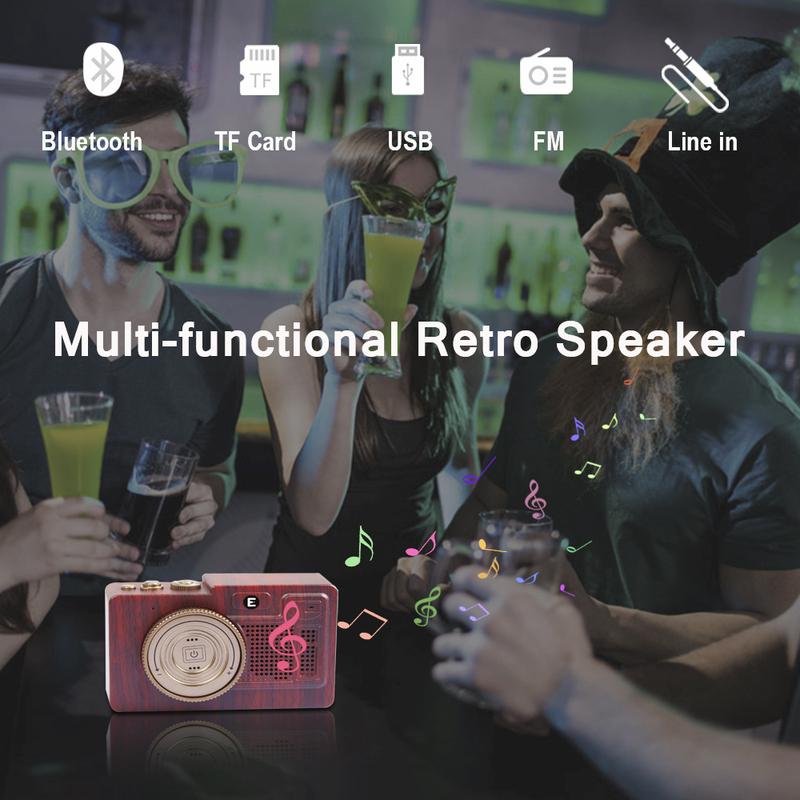 Superior Sound Quality:The retro speaker with excellent clear and crisp sound fills your room to meet your high demand of speaker quality, perfect for home, party, travel etc. BT 4.0 technology, compatible with most BT-enabled devices, included iPhone, iPad, Macbook, Android smartphone, etc. 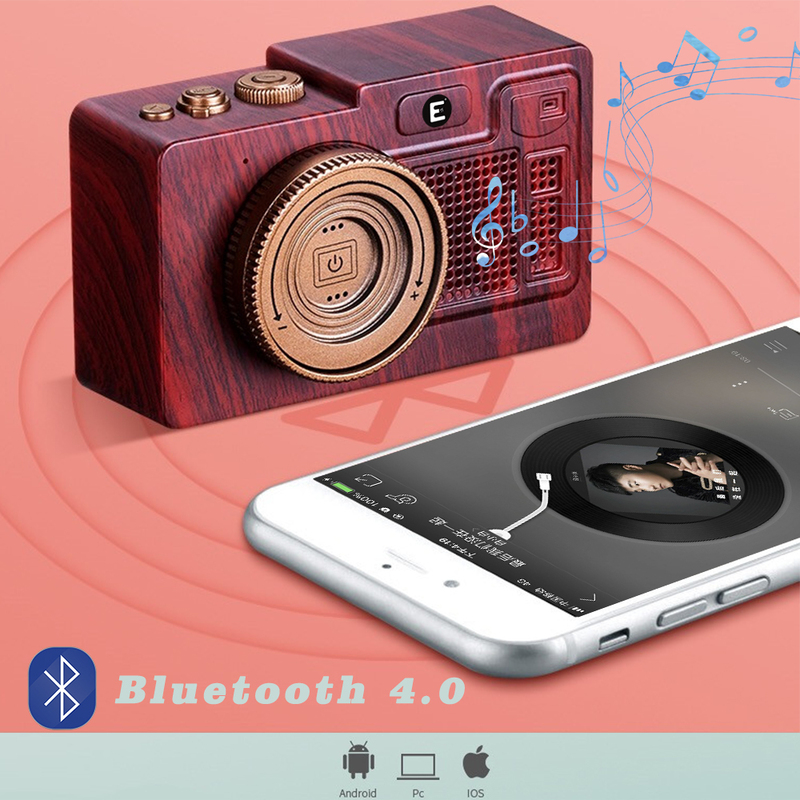 The portable Bluetooth Speaker support most BT device and non-Bluetooth devices, such as Micro SD card insert, 3.5mm AUX-IN input, and USB. 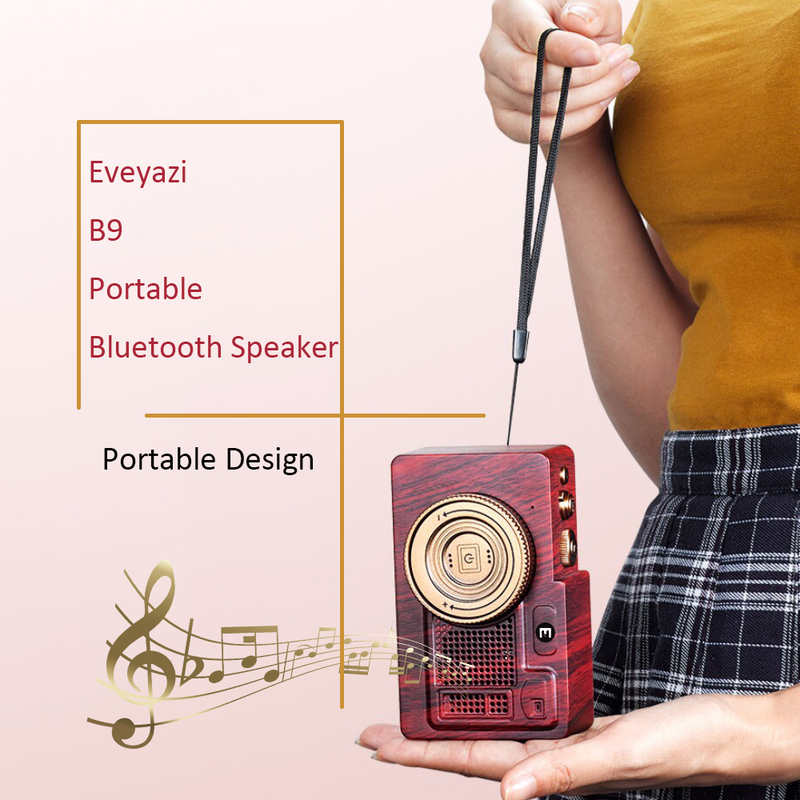 Looking for ideal Mini Vintage Bluetooth Portable Speaker Manufacturer & supplier ? We have a wide selection at great prices to help you get creative. 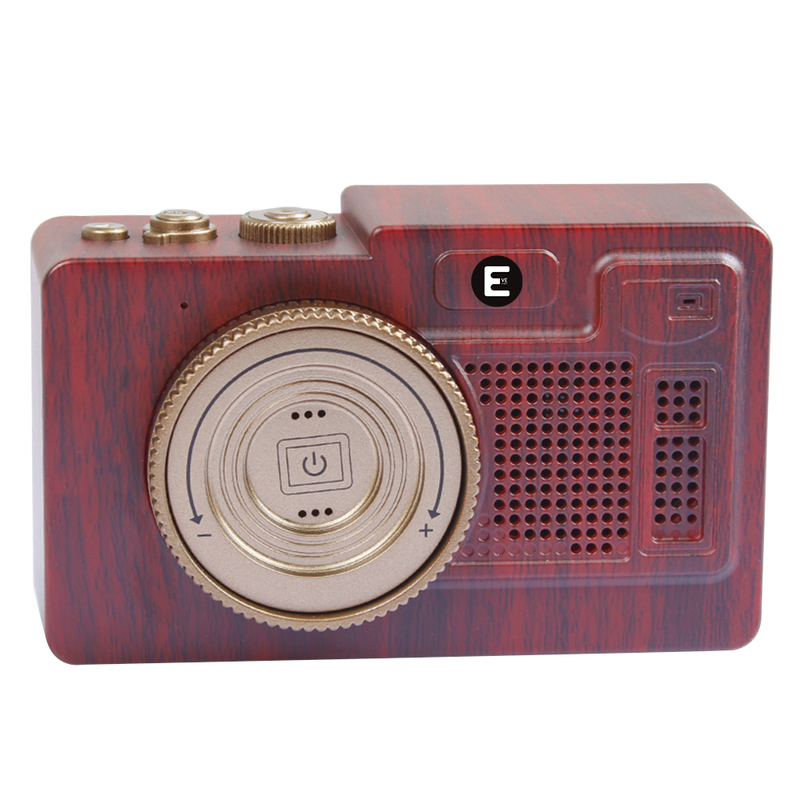 All the Vintage Usb Bluetooth Speaker are quality guaranteed. 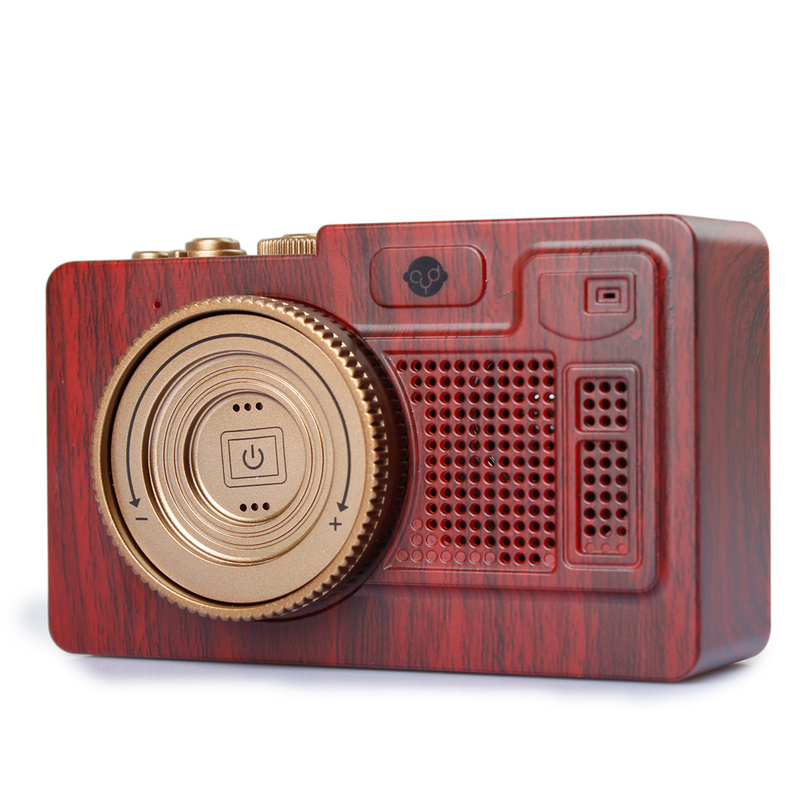 We are China Origin Factory of Vintage Color Design Speaker. If you have any question, please feel free to contact us.